We all know that one of the best parts about the holiday season is decorating! From Christmas trees to holiday lights to menorahs and more, there are SO many ways to make your home festive and welcoming. 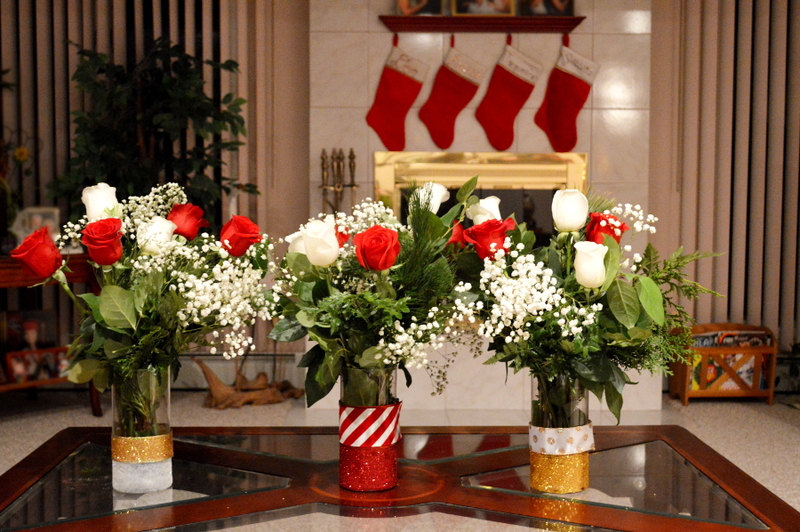 Of course decorating with holiday flowers is our absolute favorite! 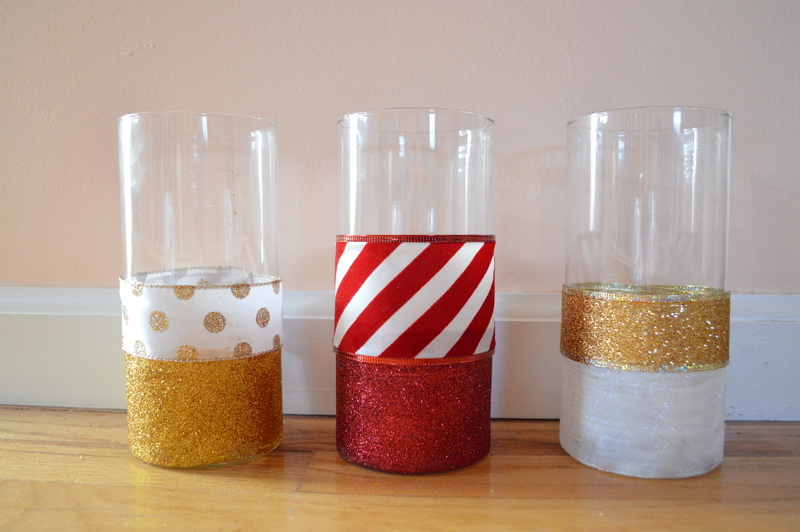 I love to add a bit of sparkle during the holidays (especially New Years), and these glitter vases are super easy (and fun!) to make! Friendly advice: try not to throw the glitter everywhere or you’ll spend months cleaning it up . I have taken one for the team and tell you this based on personal experience (you’re welcome). 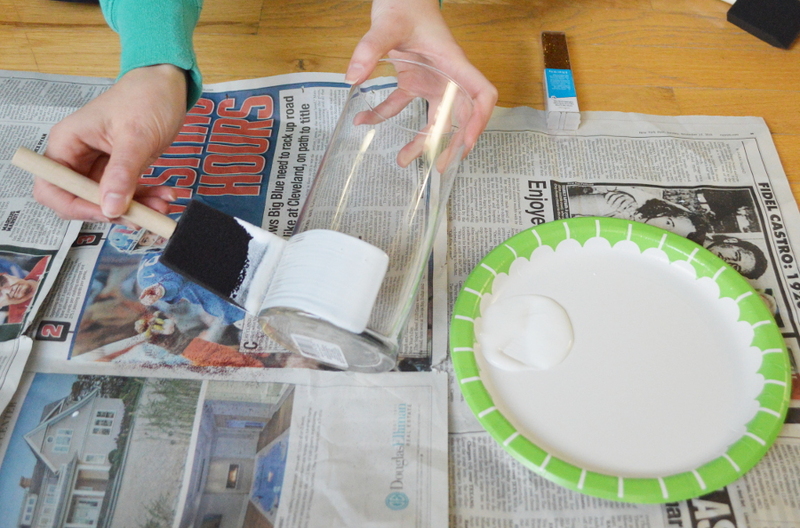 First, prepare your work area by putting down paper towels, newspaper, etc. to ensure easy clean-up. 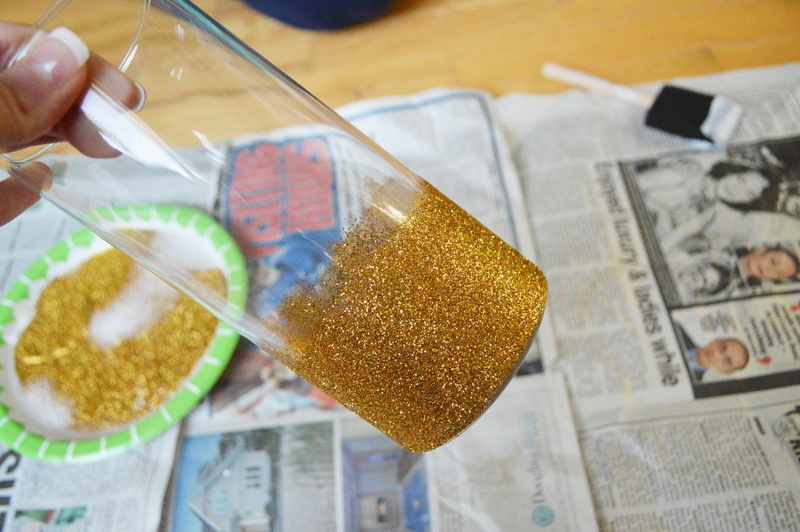 Don’t underestimate the power of glitter to get EVERYWHERE. Pour a little bit of mod podge onto your plate. 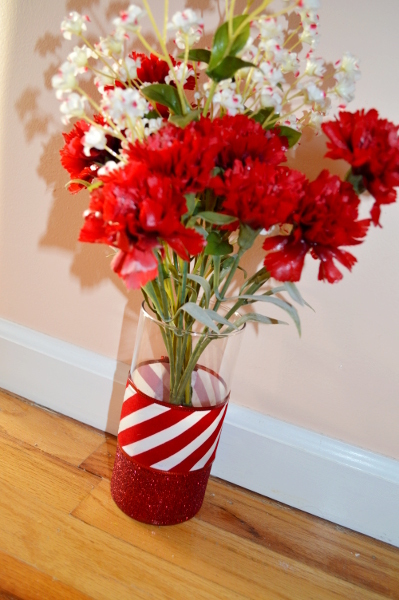 Take your foam brush and add the mod podge to the bottom of the vase (or wherever you want to add your glitter). 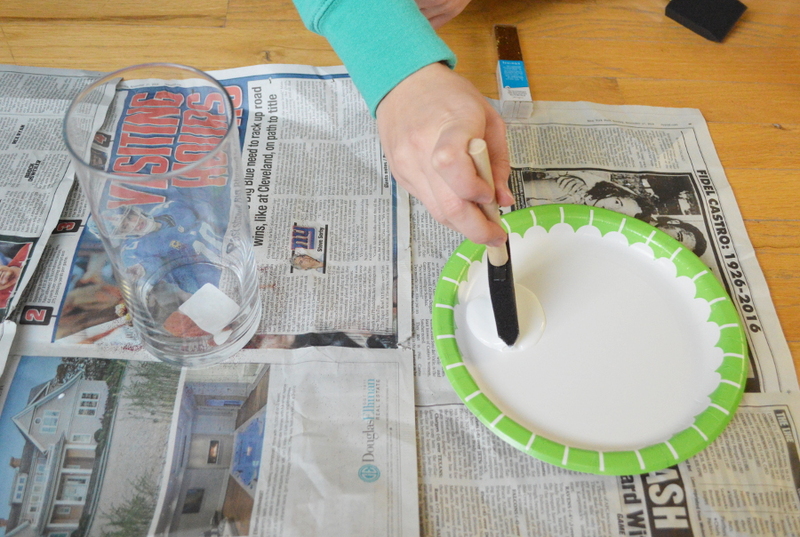 Pro Tip: Use tape to make a straight line or stripes. 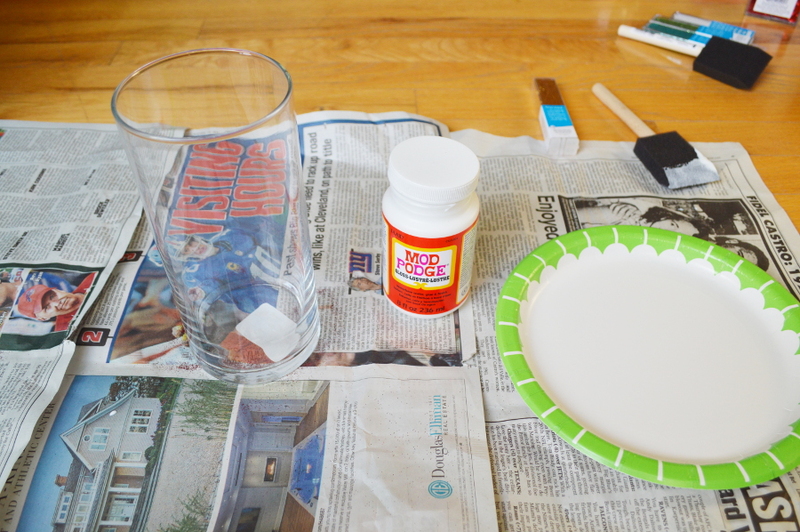 Hold your vase over another plate and sprinkle the glitter all over the mod podge. Excess glitter will fall onto the plate. 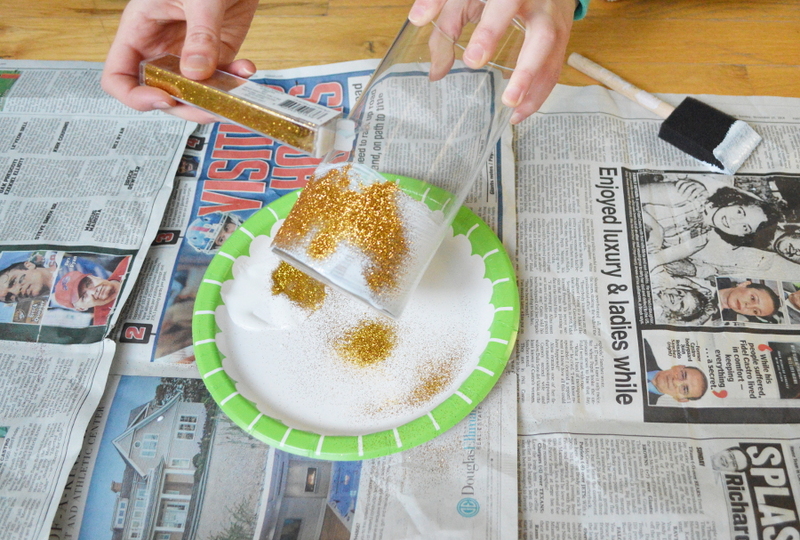 Once the mod podge/glitter has dried, put another layer of mod podge over the glitter or use a clear spray sealer. 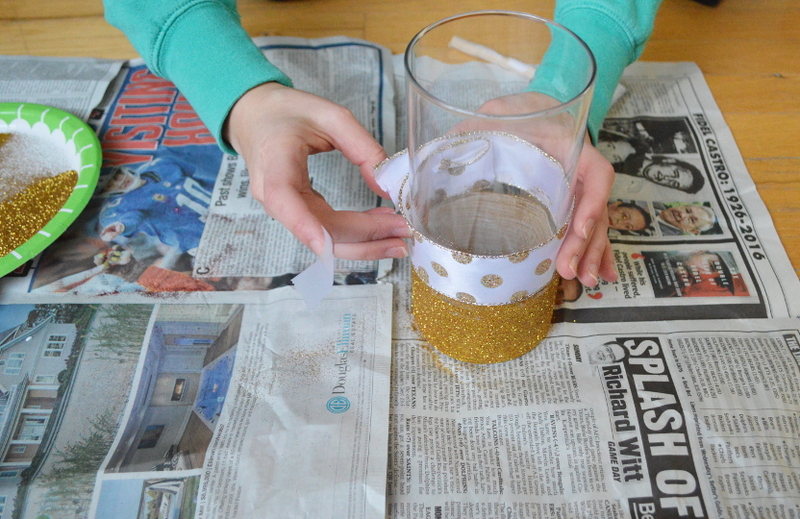 Glue or tape a ribbon where the glitter ends to give it a smooth line and make it a bit more festive. Add water, flowers, and display in your home! How easy was that! ?